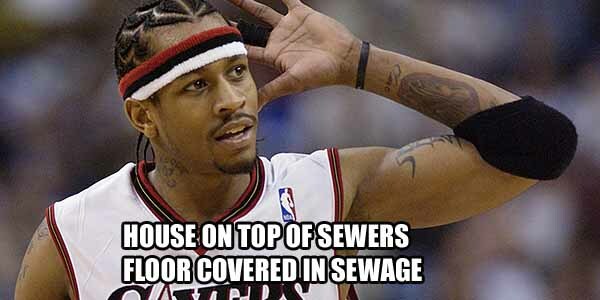 Everyone knows Allen Iverson’s childhood wasn’t pretty. One of the most horrifying anecdotes about the poverty he had to go through was that his house was on top of a sewer and every time the pipes burst, the floor would be covered in sewage. And that’s before the assault conviction where he turned out to be innocent four months into the incarceration.